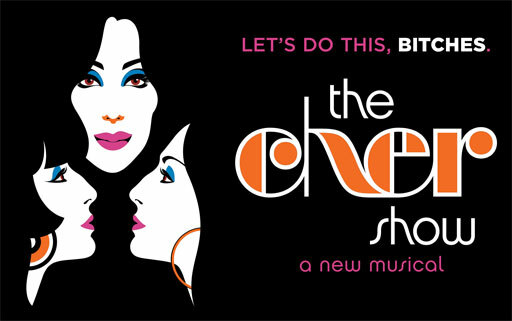 The Cher Show, a new musical chronicling the life and career of the Oscar, Grammy and Emmy Award winner opened last night at the Neil Simon Theater on Broadway. Starring Stephanie J. Block, Teal Wicks, and Micaela Diamond as the diva in different periods of her life, the production is directed by Jason Moore (Shrek the Musical), choreographed by Tony Award winner Chris Gattelli (Newsies) and features a book by Rick Elice (Jersey Boys). The critics appeared to be mixed in their assessment of the production. There's a fine line between tacky and spectacular. In creating costumes for Cher over the years - costumes that often tell the story of a shy woman emerging triumphant from a chrysalis - the designer Bob Mackie has kept on the right side of the line by making sure the level of craft supports the extravagance of the gesture. Sadly that's not the case with "The Cher Show," the maddening mishmash of a new musical that opened on Monday at the Neil Simon Theater. Except for the dozens of eye-popping outfits Mr. Mackie gorgeously recreates for the occasion, it's all gesture, no craft: dramatically threadbare and surprisingly unrevealing. Is the show good? Certainly not in the sense of traditional musical-theater craft. Would I see it again? Duh, already planning on it. Director Jason Moore's production, which breaks new frontiers on Broadway for bare midriffs, underboobs, wigs and paillettes, unashamedly embraces its abundance of trashy-flashy, tacky vintage-Vegas kitsch. But it's also slyly fabulous and imbued with a plucky feminist spirit that's quite stirring, basically recounting the story of how the innately shy Cherilyn Sarkisian stopped letting men tell her what to do and found the strength to run her own show. Granted, the jukebox musical that opened on Broadway Monday night has some clumsy and dopey dialogue. The story - a 50-50 mix of narration (yawn) and not-quite-skin-deep dramatization - tracing the pop goddess' personal and professional ups and downs won't surprise those with even a passing knowledge of Cher. Or access to Wikipedia. Still, it's thrilling watching the 72-year-old diva's rags-to-riches-and-back-again life woven by wall-to-wall hits - "Bang Bang," "The Beat Goes On," "Half-Breed" and "Believe," among them. In addition to the drama onstage, there was also a bit of Twitter drama as well. In attendance for the grand opening night were Kim Kardashian and hubby Kanye West, who apparently forgot that the actors onstage can see the audience. That said, according to sources, the audience did have a fab time at the premiere. Not only did the attendees experience the storytelling of Broadway, but the diva herself got onstage. Cher surprised the audience by joining the cast for the curtain call, and even sang with Broadway veteran Stephanie Block on “If I Could Turn Back Time.” Watch below.